The newest addition in the Cordell Collection at Cunningham Memorial Library is also its oldest. 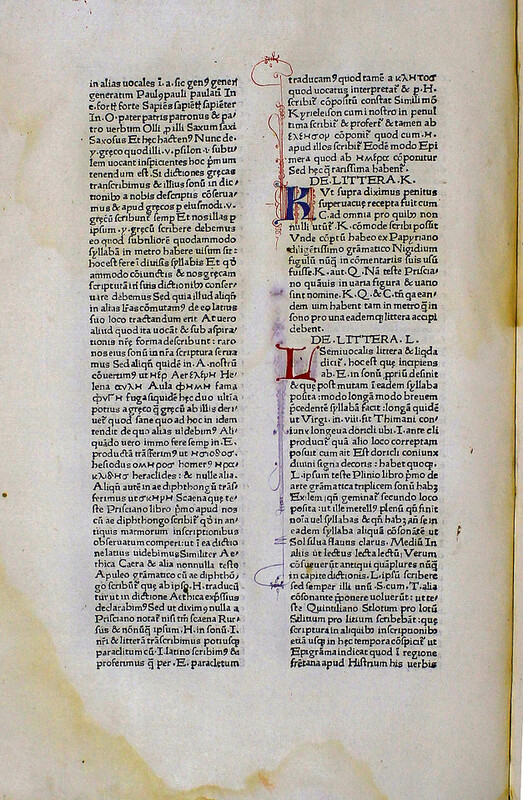 Italian humanist Johannes Tortellius’ “De orthographia dictionum e Graecis tractarum,” published in 1471, was purchased with funds from a special sesquicentennial event at Indiana State University in November. The event celebrated the university’s Cordell Collection and the Schick Lecture Series and featured Martha Barnette and Grant Barrett, co-hosts of “A Way with Words.” The popular National Public Radio show examines language through history, culture and family. All of the proceeds benefited the Cordell Collection’s purchase of a new dictionary. The book was printed on the second press established in Rome and is now the oldest printed book in the Cordell Collection of Dictionaries. 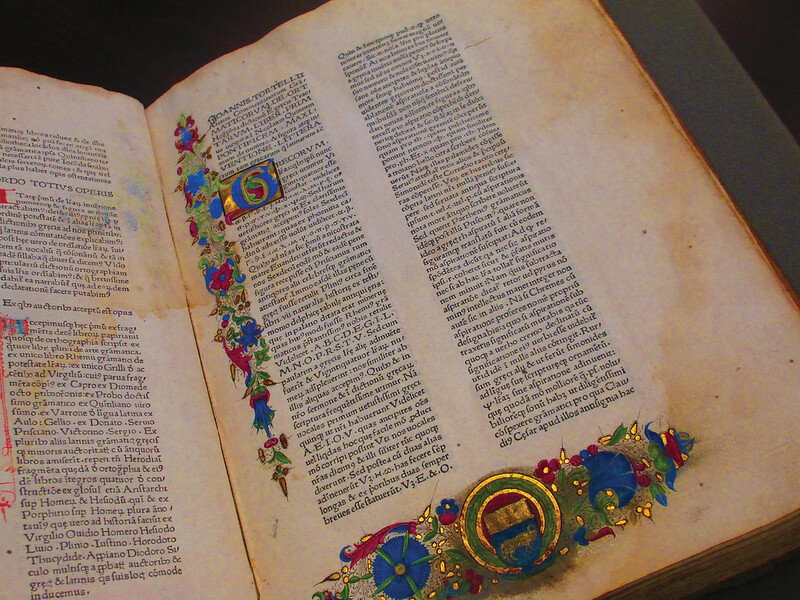 The collection’s next oldest printed piece was published in 1478. “De orthographia dictionum e Graecis tractarum” includes a short introduction to Greek spelling, pronunciation and syllabification. Each entry, which range in length from two lines to 24 pages, gives the word’s Greek and Latin pronunciations, definitions and its earliest appearance in Latin literature. The collection includes in-depth, multiple editions of any work that is available and the latest piece helps fill in a gap in the collection’s early dictionary works. Photos: https://photos.smugmug.com/Other/Media-Services/Submitted-Photos/Staff-Uploads/i-JcGJKwX/0/3afd6b92/XL/Book%20open%201-XL.jpg – An image of an inside page of Italian humanist Johannes Tortellius’ “De orthographia dictionum e Graecis tractarum,” which was published in 1471 and is the oldest and most recent purchase for the Cordell Collection at Indiana State University’s Cunningham Memorial Library. The text includes a short introduction to Greek spelling, pronunciation and syllabification. Each entry, which range in length from two lines to four pages, gives the word’s Greek and Latin pronunciations, definitions and its earliest appearance in Latin literature. 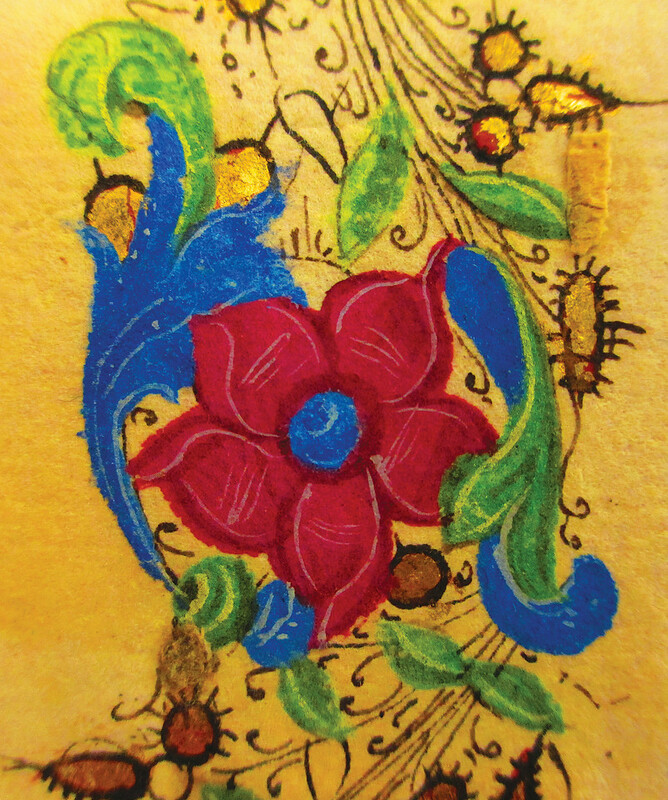 https://photos.smugmug.com/Other/Media-Services/Submitted-Photos/Staff-Uploads/i-HNhsTBF/0/ad7e3eb6/X2/Flowerscroll-X2.jpg – An image of the illumination drawn throughout “De orthographia dictionum e Graecis tractarum,” a dictionary by Italian humanist Johannes Tortellius. 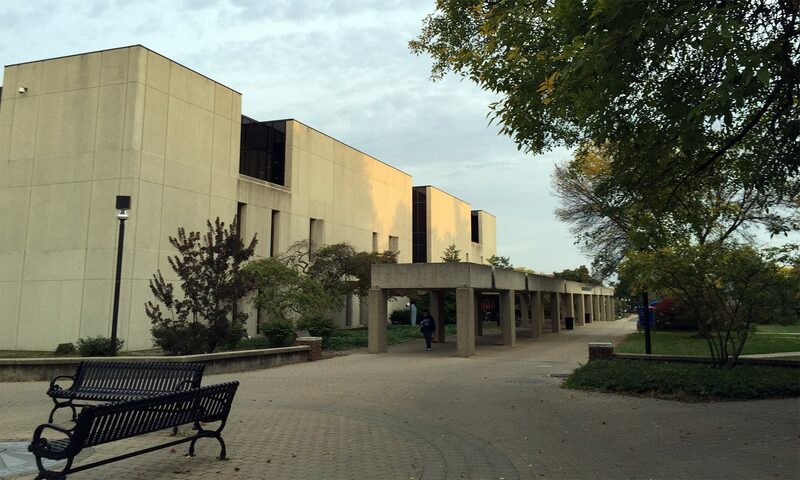 The text was published in 1471 and is the oldest and most recent purchase for the Cordell Collection at Indiana State University’s Cunningham Memorial Library. The text includes a short introduction to Greek spelling, pronunciation and syllabification. Each entry, which range in length from two lines to four pages, gives the word’s Greek and Latin pronunciations, definitions and its earliest appearance in Latin literature. https://photos.smugmug.com/Other/Media-Services/Submitted-Photos/Staff-Uploads/i-q3rPf4P/0/22d2a00b/X2/3-X2.jpg – An image of the red and violet ink etchings on the inside page of “De orthographia dictionum e Graecis tractarum,” a dictionary by Italian humanist Johannes Tortellius. The text was published in 1471 and is the oldest and most recent purchase for the Cordell Collection at Indiana State University’s Cunningham Memorial Library. The text includes a short introduction to Greek spelling, pronunciation and syllabification. Each entry, which range in length from two lines to four pages, gives the word’s Greek and Latin pronunciations, definitions and its earliest appearance in Latin literature.